Here’s this year’s “Why the Nose” video by Mark Day– “the unicorn” edition. I love how his videos capture the spirit and energy of the citizens of Black Rock City as you can see from his video above and “Why the Nose” from Burning Man 2012. 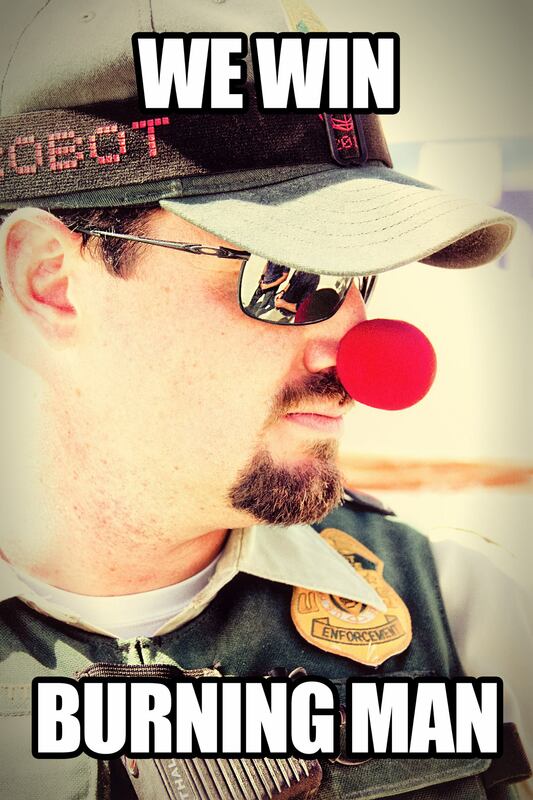 But it seems that it may be Tex Allen I should credit for the proliferation of clown noses… or at least for this photo of a LEO wearing one! 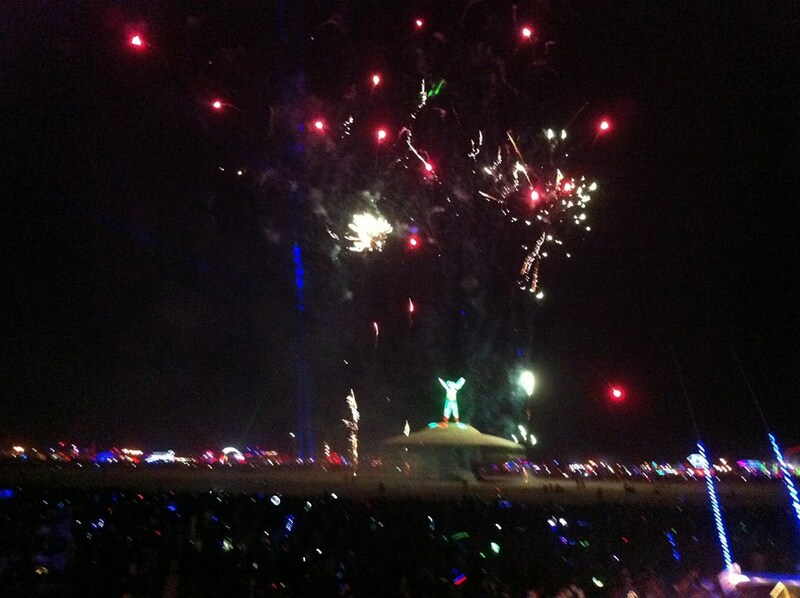 More videos, photos and stories from Burning Man 2013 about the Pedal Bump cars, the giant TV, the Temple Burn, the Man Burn, a scenic flight over Black Rock City, discussions of the 10 Principles, Black Rock Wine Cellar, lamplighting, Black Rock Scouts, and more.